A smart move that people should consider is to prepare meals at home. Homemade meals are not only healthier, but cooking at home is also an excellent way of saving money. 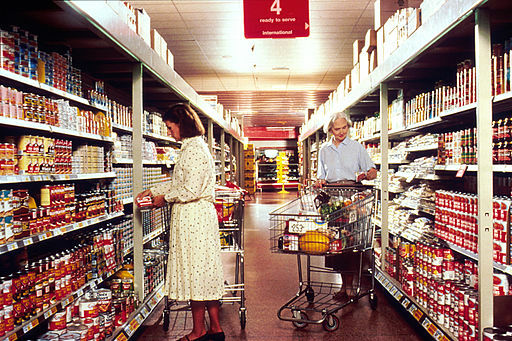 The use of coupons and other tips for frugal shopping can go a long way in cutting your grocery bill. Here are some tips that can serve as a starting point to frugal grocery shopping. The first tip is clipping coupons. You are missing savings if you are not using coupons for food items that you buy on a regular basis. The first step is checking the fliers that are sent as mail or in daily newspapers. Coupons can also be searched online. The second tip is signing up. Bonus cards, also known as shopper cards are an efficient way of saving at grocery chains. You should sign up at supermarkets visited frequently. Joining a club is another tip worth mentioning. Discount clubs are a proven means of saving money, especially on bulk food items. If huge quantities of items cannot be used up, consider splitting, not only the items, but also the costs with friends or the extended family. Planning ahead is another useful tip in saving money. It is advisable to make menu plans on a weekly basis, as well as a list of groceries that would be needed. By having a list, one can easily avoid impulse buying. Checking the pantry is another strategy worth mentioning. It is essential to use up the food supplies you already have. Finally, you should invest time to save money. Sparing some time for planning and preparation in the kitchen can translate to huge savings.